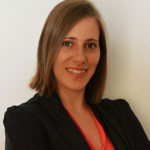 Solenne Bire, PhD, joined IPStudies in January 2019 as a part-time expert to support the CRISPR patent analytics growing needs. Solenne Bire has 10 years academic experience in biotechnology genome editing technology for therapeutics and bioproduction applications. From 2012 to 2018, she worked as a postdoctoral research fellow at the Institute of Biotechnology of the university of Lausanne, where she developed and improved strategies to deliver a gene of interest in a specific DNA locus using various biotechnologies such as the piggyBac transposon and the CRISPR-Cas9 system. Since 2018, she has also been consulting for a biotech start-up in the neural stem cell culture field. Solenne Bire holds a MsC in Molecular and Cellular Infectiology, Vaccinology from University of Tours (2008) and a PhD in Molecular Biology, Vectorology from University of Tours (2011). She is the author/co-author of 17 scientific and technical publications/communications, as well as three book chapters. Solenne Bire currently lives in Lausanne, Switzerland with her family.